How do I format my Works Cited list? Uses in-text parenthetical notation with author's last name and the page number for the reference. Used in arts and humanities research, including English literature, history, philosophy and languages. This guide is based on the MLA Handbook for Writers of Research Papers, 8th edition. 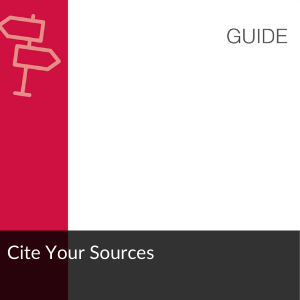 To make citation practices more consistent across source types and formats, our guide is now updated to reflect changes in the 8th Edition of the MLA Handbook. As a result, there are some small but important changes to the punctuation and formatting of Works Cited entries. 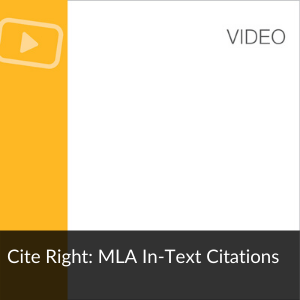 The in-text citation guidelines are relatively unchanged. For a summary of the changes, visit the MLA Website. Include the last name of the author(s) plus the page reference where the information appears. In the days when doctors "stressed air as the communicator of disease" (Tuchman 102), they were unaware of other factors. If there is no author, use the title of the work in place of the author. 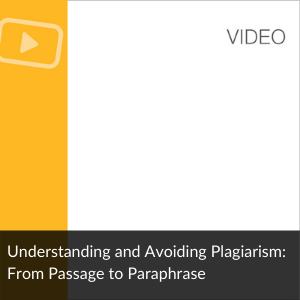 Parenthetical references should be placed where a pause in the sentence would naturally occur but as close as possible following the relevant idea or quotation. In exposing the myth of freedom of the press, Rivers notes that "[p]residential control reached its zenith under Andrew Jackson" (7). The "Works Cited" page comes at the end of your paper and provides the full bibliographic information for materials you have cited within your paper. References should be listed in alphabetical order by author's last name. The first line of an entry should be flush left and subsequent lines indented (called a hanging indent). Entries should be double-spaced within and between entries. Do not place an extra space between entries. Last Name, First Name. "Article Title." Journal Title, Volume, Issue, Year, Pages. Pesciarelli, Enzo. "Aspects of the Influence of Francis Hutcheson on Adam Smith." History of Political Economy, vol. 31, no. 3, 1999, pp. 525-45. Last Name, First Name. "Title of Article." Name of Journal, Volume, Issue, Year, Pages. 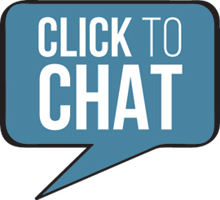 doi/URL. Butler, Darrell L., and Martin Sellbom. "Barriers to Adopting Technology for Teaching and Learning." Educause Quarterly, vol. 24, no. 2, 2002, pp. 22-28. doi:10.1215/00183. Smith, J. "Writing About Sports." Writing Matters, vol. 2, no. 2, 2006. doi:10.1214/1083. Last Name, First Name. Title of Work. Publisher, Date. Pennee, Donna Palmateer. Moral Metafiction: Counterdiscourse in the Novels of Timothy Findley. ECW Press, 1991. If the part is a short poem, story, or chapter, place it in quotation marks. Last Name, First Name. "Title of Part." Title of Anthology, edited by Name, Edition, Volume, Publisher, Year, Pages of the part. 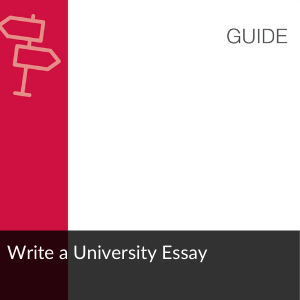 Use these resources to help you write your essay.